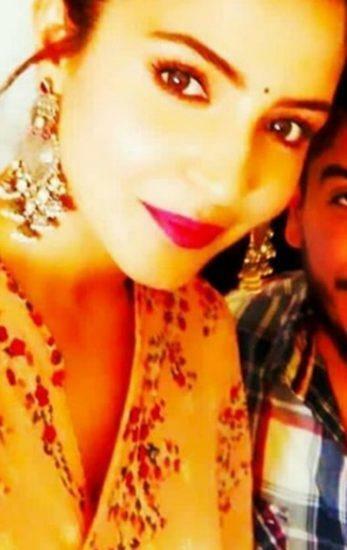 Home » Bollywood News » Anushka Sharma shares her pink gown pics on Instagram; Virat Kohli's fans trolled her calling, 'Lovely Bhabhi ji, lekin No Sindoor'! Anushka Sharma shares her pink gown pics on Instagram; Virat Kohli's fans trolled her calling, 'Lovely Bhabhi ji, lekin No Sindoor'! Pari actress Anushka Sharma has a huge fan following and posts her marriage with Indian skipper Virat Kohli last year in December, everyone eyes are stick on her each update. Recently, Anushka shared her picture in a pink gown on her Instagram account. In the pic, Anushka looks lovely and very adorable in the picture. Anushka's pink colour gown is enhancing her. This picture of Anushka is liked by her many fans. The pink gown post of Anushka on Instagram has been liked by 1,031,647 people in 4 hours. While some praised Anushka for her lovely looks, some the users have also honoured the actress with Gorgeous and Beautiful words. Many Virat Kohli's fans had also showered their love for Anushka. One of the users called her 'Super Moon'. At the same time, one of Virat's Fans has also commented on her post. While of Virat's fan called her 'Lovely Bhabhiji', one of his fans has also notice on vermilion in the top middle of her forehead. Referring it some users tried to troll her calling, 'love;y bhabiji, par no singer'. The fans of Anushka Sharma has also commented on her picture and said that she too looks like pink in a pink. Anushka is also wearing beautiful 'jhumkaz' along with her pink gown.